Motorolo finally launched its most awaited smartphone Moto G in India and this is the budget smartphone for Indian users. It comes with a 4.5-inch HD display with the resolution of 1280x720 pixels and Corning Gorilla Glass protection. It runs on Android 4.3 Jelly Bean OS and Motrolo promised it can be upgradable to Android 4.4 KitKat version soon. Moto G powered by 1.2 GHz quad core Snapdragon Processor with 1 GB of RAM will provide good performance and gaming experience. It comes with a 5 MP rear camera with LED flash and HD video recording in 720 pixels and also 1.3 MP front facing camera for video calls. The phone comes in two variants 8 GB and 16 GB and there is no external memory support. 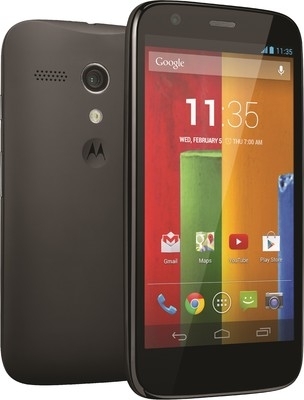 Moto G has Dual Sim support and it has special water resistant nano coat that will protects the phone from water. Motorolo G smartphone comes in Black color and the 8 GB model is priced at Rs.12999 and the 16 GB model is priced at Rs.13999. This is good pricing because people also want to buy the medium priced smartphones. 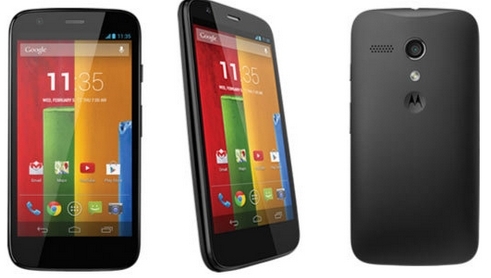 Moto G will surely compete with other smartphone brands such as Samsung and Micromax. The online retailers Flipkart and Snapdeal giving this device with some extra offers and the device will be available across the country within this week.